Album that collects photographs more interesting, characteristics and curious of Kos captured during my trip in this island. 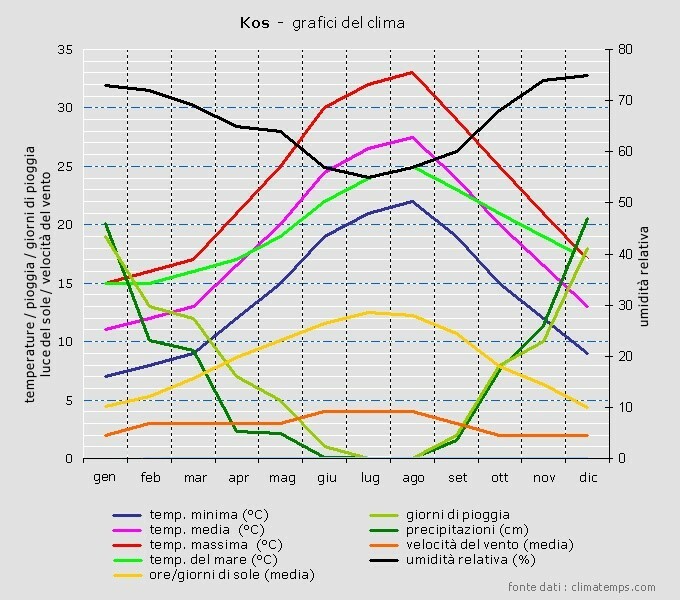 Graph of the climate of Kos island month by month with days of rain, sunshine, etc. 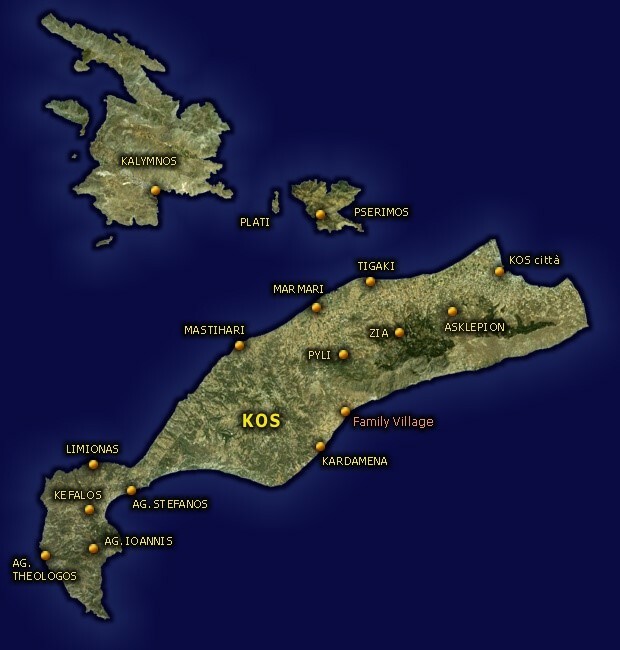 Map with indication of the location of the sites and places of interest visited during the trip to Kos. Web site to consult for general info and health info before tackling a trip to Kos.